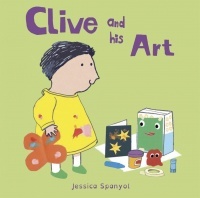 Meet Clive - and his imagination! Clive loves all kinds of art. He likes looking at it, making it and sharing it with his friends. A gentle, affectionate book, celebrating diversity and challenging gender stereotypes.